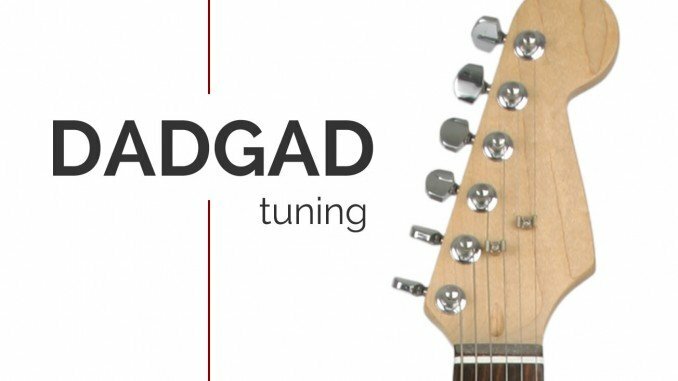 DADGAD Tuning is a popular alternative to standard notation. It is tuned by taking your guitar in standard tuning and dropping the 1st, 2nd, and 6th string a whole step down. You can do this by following these steps in order. This is a great tuning for acoustic songs. It is really good for old hymns and fingerpicking acoustic solos. To get you started on DADGAD, try my DADGAD arrangement of Amazing Grace. I suggest that you use what you learned in the Drop 2 Voicings lesson to come up with some chord charts. After that you can arrange your own songs in DADGAD. I know that not all of the Drop 2 chords will be usable due to the nature of the tuning but it will get you started with some chords. I have included a diagram of the DADGAD fretboard and some of my favorite DADGAD chords. Many songs written in DADGAD use a lot of 2 note chords and open strings. I suggest that you try using chords like the 2 note chords when you constuct your own songs. To play a 2 note major chord, play the root and the 3rd. To play a minor chord, play the root and the flat 3rd. To play a dominant 7th chord, play the Root and the flat 7th. Very cool, thanks for the clear explanations and an informative post. I’ll try to practice this the next time I pick up my guitar. Cheers!